The first five episodes of Suits Season 5 were Harvey centric. The other members of the ensemble didn’t get as much time. It all changed in the latest episode of Suits Season 5. Suits Season 5 Episode 6, “Privilige” focused on Louis, Mike, Rachel, Jessica and Donna. While Jessica tells Louis it is hard time he grows up and shrugs away his pettiness, Harvey on the other hand has to play the bad guy to get his client in the clear. There’s a face-off between Donna and Gretchen. I don’t have words to define that conversation. If you are a Suits fanatic, catch the lates episode of Suits quickly. Louis tries to be become a new Louis and does things which normal Louis won’t do. However brief it may be, it is fun and refreshing to watch Louis in the new avatar. A Louis who is willing to lose for the greater good. 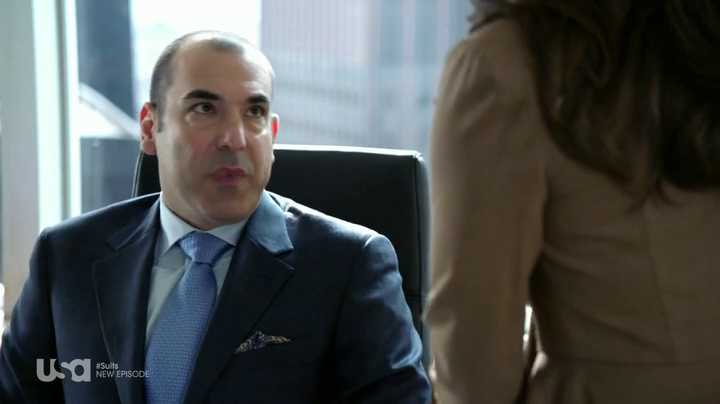 Yes this is the Louis Litt of Pearson Specter Litt. The same Louis! Elsewhere Mike asks Donna for help on his wedding venue. And as we no Donna, she always gets it done. After working 12 years with Harvey she has learned a few tricks and helps them to get Mike what he wants for Rachel. Jessica defends another attack from Jack Soloff after he tries to threaten her position and pull of a Hardman move. This could be a sign that Daniel Hardman may be back for revenge and boy it would be great to see him back. Harvey Specter is once again face to face with his therapist. This time he is deposing her. He has to be the bad guy and destroy her testimony by using her past against her. Finally, he reconciles with her and saves his client. At the end of the episode, Harvey is ready to talk about his mother.